THE Manchester Arena terror attack at an Ariana Grande concert was carried out by a suicide bomber armed with an improvised explosive device (IED). 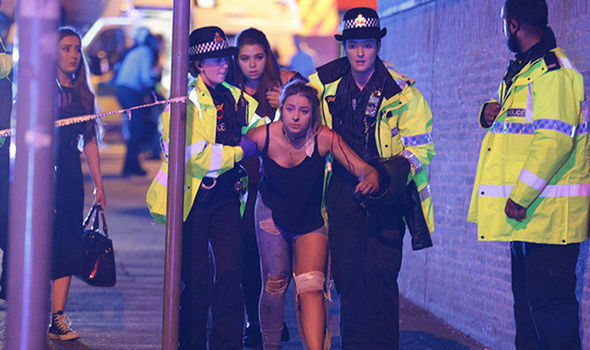 Children are among the dead following the worst attack on the UK since the July 2007 bombings in London. 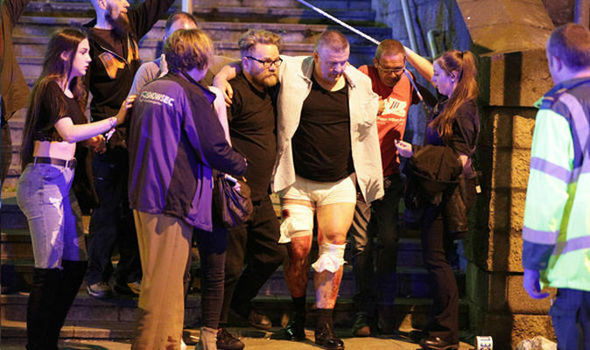 Families were heading for the exits of the concert at the famous venue at the end of the concert when the attacker detonated his device. Witnesses have described how they heard a huge blast and everyone "screaming and running" before they were told to "run". One mother told how she smelt burning near the main foyer, where it is believed the attack took place. Terror experts warned that this was not a lone attack but was planned and prepared. Chief Constable Ian Hopkins told a press briefing at 7am children were among those killed in the attack. It was carried out by one man carrying an improvised explosive device (IED), who also died on the scene, he confirmed. He urged the public "not to speculate" the identity of the attacker. Pop singer Miss Grande Tweeted she was "broken" and had "no words" following the devastating attack. A Greater Manchester Police statement said: "There remains a large cordon in place around Manchester Arena and Victoria Train Station which will be in place for some time.